The "cloud", the latest buzzword in technology, is a set of services and technologies that enable the delivery of computing services over the Internet in real-time. It is a way of storing, sharing, and streaming data over the web, allowing end-users instant access to data and applications from any device with Internet access. Home cloud are becoming really popular for people who want to access home media content from anywhere if there is an internet connection, including Wi-Fi and 3G. It means that you can enjoy video, music files on the go via Wi-Fi or 3G. A home cloud is essentially a personal video/music cloud server. One benefit of using a cloud server is that you can access even huge media libraries and play all of your video and music files without having to actually store the files on the mobile device. You do not need to worry about the storage issue. Another advantage is that you have the freedom to access your media collection whether you're on the bus, in the bedroom or even on the beach. You are streaming video/music from the cloud server to your network portable device directly. For many people the idea of building their own cloud server is terrifying because they think is too technical for them to do, but it's actually very easy. You've maybe heard about Air Playit, a totally free video streaming software. It acts as your personal audio video cloud server, streaming video to your mobile devices via WiFi and 3G/4G network and lets you watch video on the go. 1. 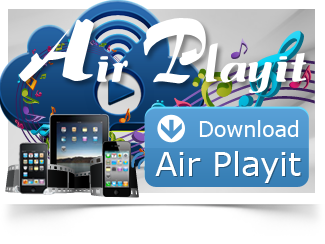 Download Air Playit Server and install on your PC or Mac. 2. Download App Client and install on iPad or iPhone. 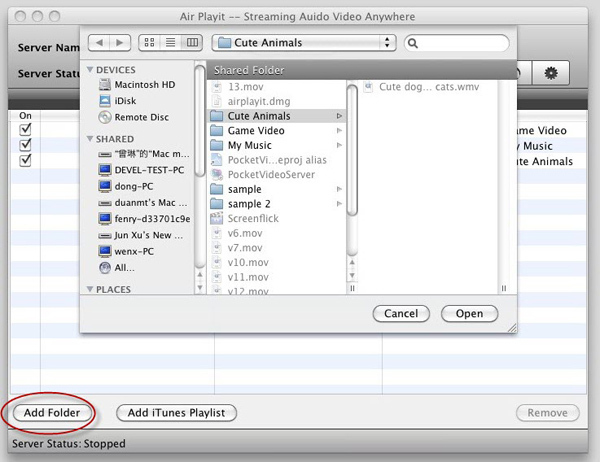 Step One: Run Air Playit Server, click "Shared folders" and add your video/audio by clicking "Add Folder" so that you can stream video audio to iPhone via Air Playit server. Step Two: Run App Client on iPhone and add your server. This app can automatically discover the local network by Bonjour Server. If sometimes the client app can't find the Bonjour connection information, you need to specify the IP address manually or close the firewall for a try. 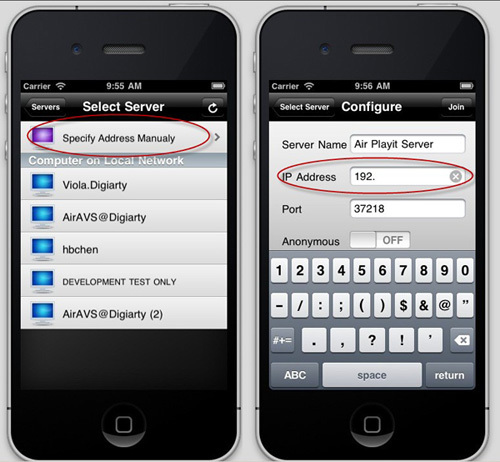 Step Three: Browse the folders under the server, click "Play" to enjoy video audio on iPhone immediately without any format conversion or sync. 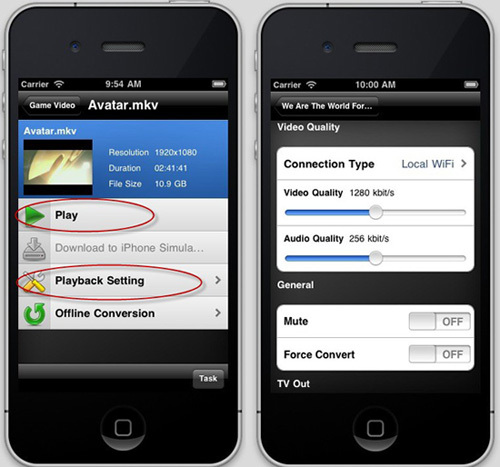 Air Playit also enables users to adjust video audio parameters by clicking the "Playback Setting". What a pity it is that you cannot watch DVD on iPad/iPad 2! I guess you guys don't really wanna miss the opportunity to watch DVD on iPad/iPad2, do you? Here is a specially designed tool – Air Playit gives you a workaround to get away from such an annoyance.